Bayesian methods based on hierarchical mixture models have demonstrated excellent mean squared error properties in constructing data dependent shrinkage estimators in wavelets, however, subjective elicitation of the hyperparameters is challenging. 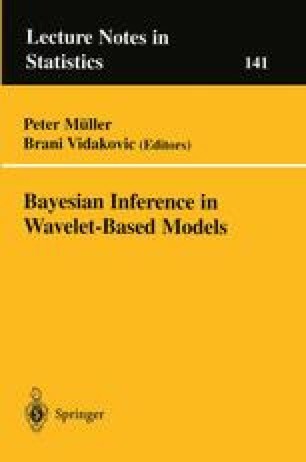 In this chapter we use an Empirical Bayes approach to estimate the hyperparameters for each level of the wavelet decomposition, bypassing the usual difficulty of hyperparameter specification in the hierarchical model. The EB approach is computationally competitive with standard methods and offers improved MSE performance over several Bayes and classical estimators in a wide variety of examples.